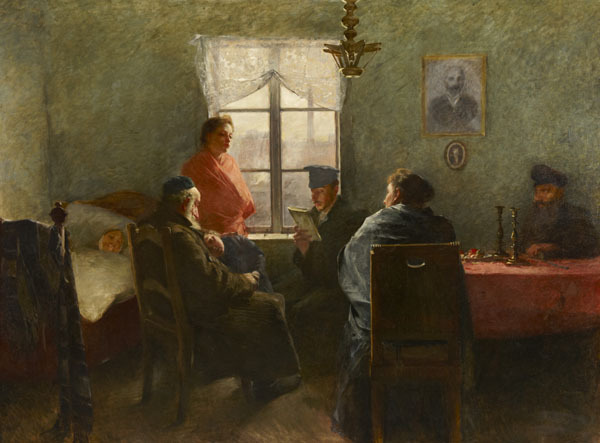 Born in Lodz, Poland in 1865, Samuel Hirszenberg was a traditional history painter in the realist tradition, influenced by the Polish masters Jan Matejko (1838–1893) and Maurycy Gotlieb (1856–1879). He entered the Academy of Fine Arts in Krakow at the age of 15 and studied there for two years, afterwards completing his training at the Royal Academy of Arts in Munich (1885–1889). Hirszenberg returned to Poland in 1891 and re-settled in Lodz two years later. He went on to become well-known for his monumental paintings depicting the condition of impoverished Jews in Poland, where frequent anti-Semitic pogroms caused many to flee to the West. 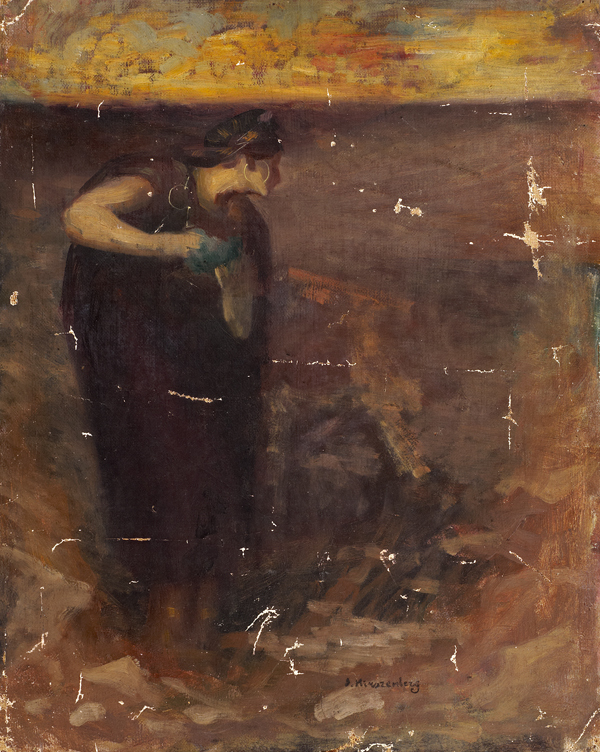 He exhibited regularly in Paris before moving to Jerusalem in 1907, where he taught at the newly-established Bezalel School of Arts and Crafts until his death in 1908.